See how I put the “POs are made, not born” tagline up there at the top of my page? That’s what The Talent Code is all about. This book will help you get better at your job – or anything else. The key to excellence in EVERYTHING. The author uncovers how cultures of excellence pop up around the world in “hotbeds” (think Brazilian soccer players), usually in rough looking places. In these places, a mix of desire and intentional learning combine to cause the minds of these future masters to undergo a process called myelination. Myelin is amazing stuff that allows nerve signals to go thousands of times faster(!!!) than ordinary nerves and explains why masters (in chess, baseball, software development, etc) seem to be superhuman. Intentional learning, which he describes fully in the book, is how YOU can myelinate ANY paths in your brain to master your chosen profession…like the skills of product ownership, for example. As Coyle notes in the book it takes 10,000 hours to truly master something, whether that is playing piano, playing basketball, or speaking in public — nobody said it would be easy. I like that idea because I believe hard work is the answer to most of life’s problems. During those 10,000 hours your brain is ‘myelinating’ each neural path you fire. Fire the right path, get more myelin. It is that easy…except for the 10,000 hours part…which means that whatever you seek to get better at, you’d better love it. This all means that, sadly, just reading posts in this blog will not get you to the next level. It is all about what you do between this Tuesday book review and Friday’s super power post. So…what are you going to do to get better today? Wrap that myelin, baby! It’s your ticket to becoming a super hero (here is a little inspiration – 1/3 of the way down under ‘vision improvement’). Note: I did not receive any form of compensation for this review. 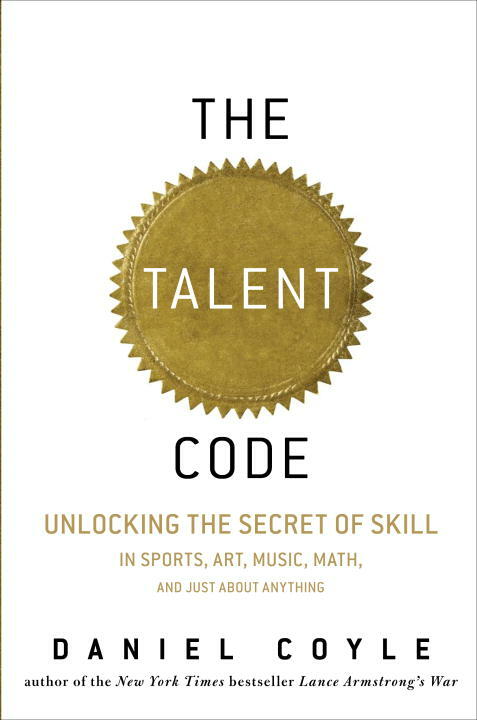 daniel coylemyelinsuper herosuper humantalent codewhat is the talent code?